Walt Disney World offers a wide array of souvenirs; so many so that I will never be able to afford everything I find interesting. With that in mind, and with the holidays right around the corner, there are always more items I wish that they would produce. Here is my wish list for 2013 Walt Disney World merchandise, which I hope turns into my 2013 Christmas list! 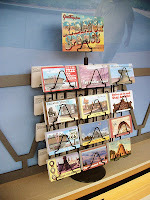 Radiator Springs Postcards – These postcards found in the window of the Cozy Cone in the Cars area of the Art of Animation Resort are gorgeous. They could sell the entire set individually, but I think the real market would be for the postcards as a set. 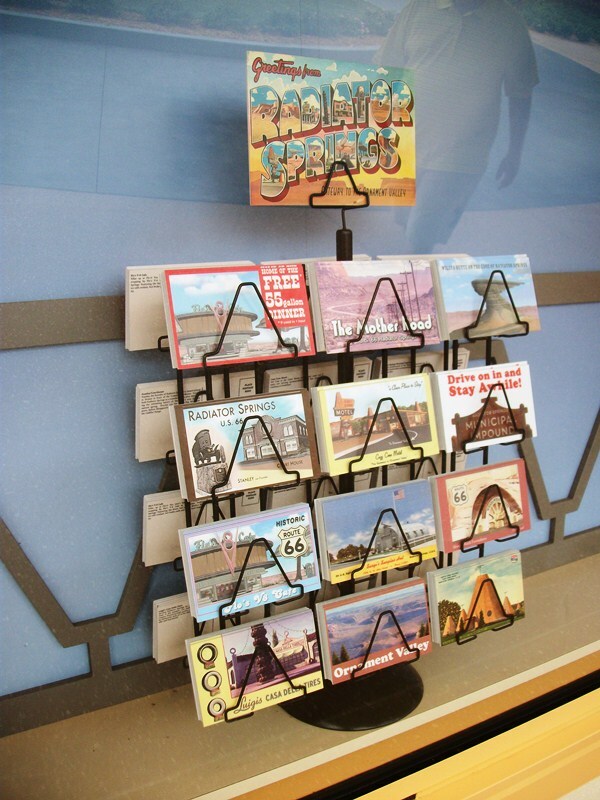 Use quality paper and place the entire set in a collectors tin, and these postcards would sell like hot cakes! Sorcerers of the Magic Kingdom Book – There are plenty of collecting sheets that fit into regular notebooks, or self-contained collecting books out there, but I’m surprised Sorcerers of the Magic Kingdom doesn’t have their own already. Think about it. Don’t just slap the game’s name on the black notebook, take the time to design a book that has a cover that looks like a spellbook and Sorcerers would make these fly off of the shelves. Oswald Meet and Greet – Okay, so this may not seem like a souvenir to begin with, but consider that many guests do purchase photos from PhotoPass, the merchandising angle is there. Oswald has slowly but surely been regaining his role as a mainstay in the Disney community. Between games, hats, and other merchandise, isn’t time guests should be able to take a picture with Walt’s original rabbit? Walt Disney World Forever Music – Once upon a time, you could select the theme park music you wanted to burn onto a souvenir CD. Why not bring back these kiosks, but have them placed on a small USB stick so that you could transfer them easily to your iTunes and MP3 devices when you return home? Think of all the wonderful, under heard, unavailable pieces of music that could once again shine! There you have it, my souvenir wish list for 2013! If any of these make the jump from dream to reality, you all know what you can get me next Christmas! I agree whole-heartedly with every one of these suggestions! Oswald would be such a smash-hit meet n' greet opportunity -- his arrival in the parks is long overdue.